35C304H5IHD-LBK Ноутбук Dell Inspiron 3552 (35C304H5IHD-LBK) 15.6', HD (1366 х 768), Intel Celeron N3060 (1.6 - 2.48 ГГц), 4 ГБ, 500 ГБ, Intel HD Graphics, DVD±RW, Bluetooth, Wi-Fi, Linux, 4 cell, 2.2 кг, Black 12 мес. I35C45DIL-60 Ноутбук Dell Inspiron 3552 (I35C45DIL-60) 15.6', HD (1366 х 768), Intel Celeron N3060 (1.6 - 2.48 ГГц), 4 ГБ, 500 ГБ, Intel HD Graphics, DVD±RW, Bluetooth, Wi-Fi, Linux, 4 cell, 2.2 кг, Black 12 мес. I35C4H5DIL-6BK Ноутбук Dell Inspiron 3552 (I35C4H5DIL-6BK) 15.6', HD (1366 х 768), Intel Celeron N3060 (1.6 - 2.48 ГГц), 4 ГБ, 500 ГБ, Intel HD Graphics, DVD±RW, Bluetooth, Linux, 4 cell, 2.1 кг, Black 12 мес. I35C45DIL-47 Ноутбук Dell Inspiron 3552 (I35C45DIL-47) 15.6', HD (1366 х 768), TN+film, Intel Celeron N3050 (1.6 ГГц), 4 ГБ, 500 ГБ, Intel HD, DVD±RW, Bluetooth, Wi-Fi, Linux, 4 cell, 2.15 кг, Black 12 мес. I35C45DIL-6B Ноутбук Dell Inspiron 3552 (I35C45DIL-6B) 15.6', HD (1366 х 768), Intel Celeron N3060 (1.6 - 2.48 ГГц), 4 ГБ, 500 ГБ, Intel HD, DVD±RW, Bluetooth, Wi-Fi, Linux, 4 cell, 2.15 кг, Black 12 мес. 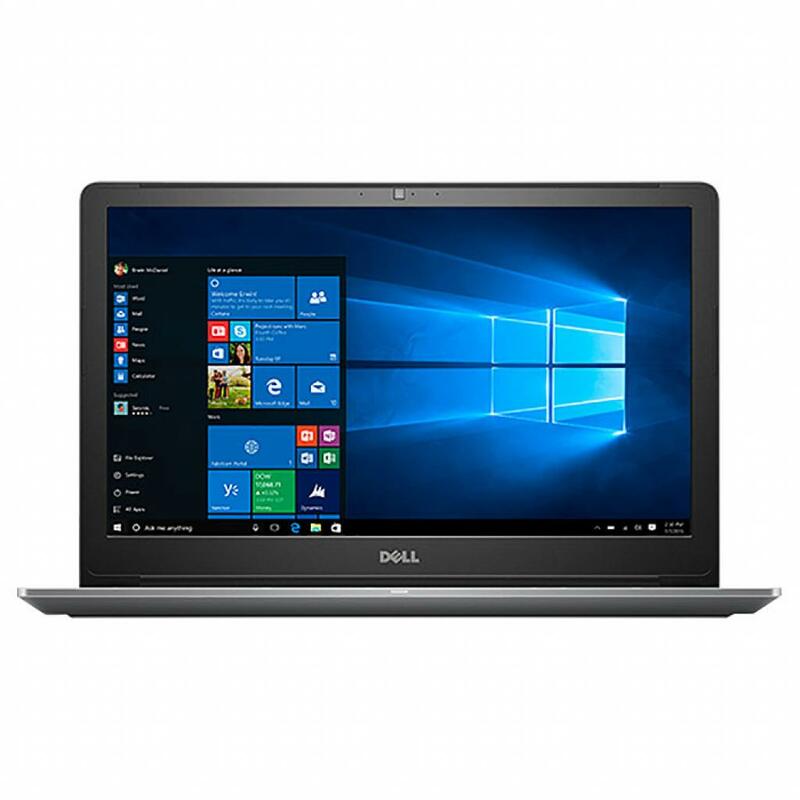 I35P4H5DIL-6BK Ноутбук Dell Inspiron 3552 (I35P4H5DIL-6BK) 15.6', HD (1366 х 768), Intel Pentium N3710 (1.6 - 2.56 ГГц), 4 ГБ, 500 ГБ, Intel HD Graphics, DVD±RW, Bluetooth, Wi-Fi, Linux, 4 cell, 2.1 кг, Black 12 мес. I35P45DIL-6B Ноутбук Dell Inspiron 3552 (I35P45DIL-6B) 15.6', HD (1366 х 768), Intel Pentium N3710 (1.6 - 2.56 ГГц), 4 ГБ, 500 ГБ, Intel HD Graphics, DVD±RW, Bluetooth, Wi-Fi, Linux, 4 cell, 2.15 кг, Black 12 мес. 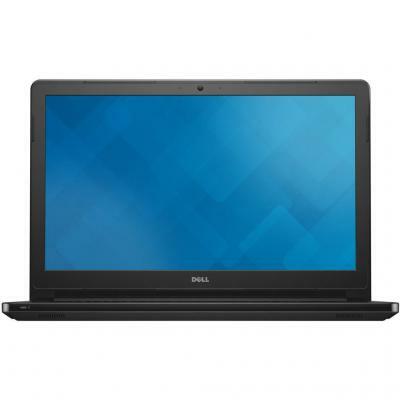 I35P45DIL-47 Ноутбук Dell Inspiron 3552 (I35P45DIL-47) 15.6', HD (1366 х 768), Intel Pentium N3710 (1.6 - 2.56 ГГц), 4 ГБ, 500 ГБ, Intel HD, DVD±RW, Bluetooth, Wi-Fi, Ubuntu, 4 cell, 2.15 кг, Black 12 мес. I35C45DIW-60 Ноутбук Dell Inspiron 3552 (I35C45DIW-60) 15.6', HD (1366 х 768), Intel Celeron N3060 (1.6 - 2.48 ГГц), 4 ГБ, 500 ГБ, Intel HD Graphics, DVD±RW, Bluetooth, Wi-Fi, Windows 10 Home Single Language (64Bit) Ukranian, 4 cell, 2.15 кг, Black 12 мес. I35C45DIW-50 Ноутбук Dell Inspiron 3552 (I35C45DIW-50) 15.6', HD (1366 х 768), TN+film, Intel Celeron N3060 (1.6 - 2.48 ГГц), 4 ГБ, 500 ГБ, Intel HD, DVD±RW, Bluetooth, Wi-Fi, Windows 10 Home Single Language (64Bit) Ukranian, 4 cell, 2.1 кг, Black 12 мес. 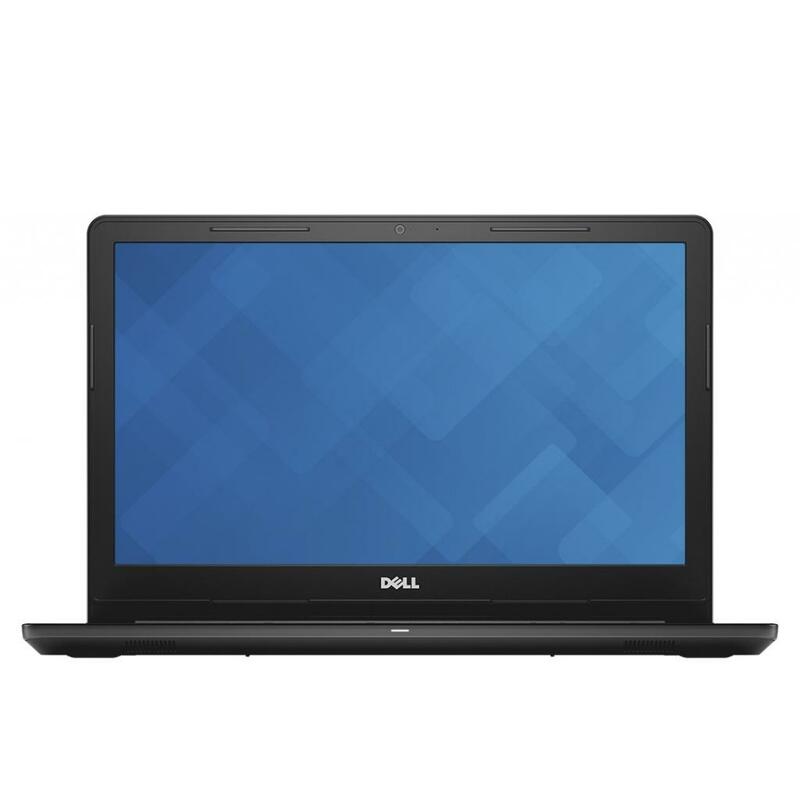 I35P45DIL-60 Ноутбук Dell Inspiron 3552 (I35P45DIL-60) 15.6', HD (1366 х 768), Intel Pentium N3710 (1.6 - 2.56 ГГц), 4 ГБ, 500 ГБ, Intel HD, DVD±RW, Bluetooth, Wi-Fi, Ubuntu, 4 cell, 2.1 кг, Black 12 мес. N031VN3568EMEA02_UBU Ноутбук Dell Vostro 3568 (N031VN3568EMEA02_UBU) 15.6', HD (1366 х 768), TN+film, Intel Celeron 3855U (1.6 ГГц), 4 ГБ, 500 ГБ, Intel HD, DVD±RW, Bluetooth, Wi-Fi, LAN (RJ-45), Linux, 4 cell, 2.2 кг, Black 12 мес. 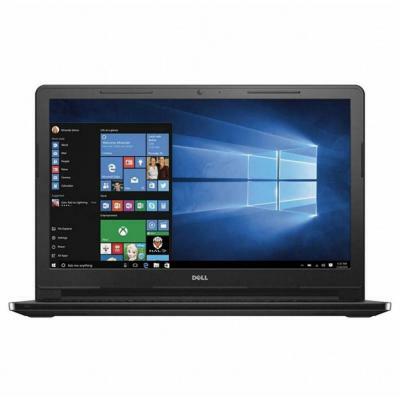 Dell Inspiron 3521 Black (210-25000blk) 15.6" HD LED/Pentium 2127U/4GB/500GB/Intel HD Graphics/DVD±RW/Wi-Fi/BT/WCam/Linux/2.2kg 12 мес. I35P45DIW-47 Ноутбук Dell Inspiron 3552 (I35P45DIW-47) 15.6', HD (1366 х 768), Intel Pentium N3710 (1.6 - 2.56 ГГц), 4 ГБ, 500 ГБ, Intel HD, DVD±RW, Bluetooth, Wi-Fi, Windows 10 Home Single Language (64Bit) Ukranian, 4 cell, 2.15 кг, Black 12 мес. 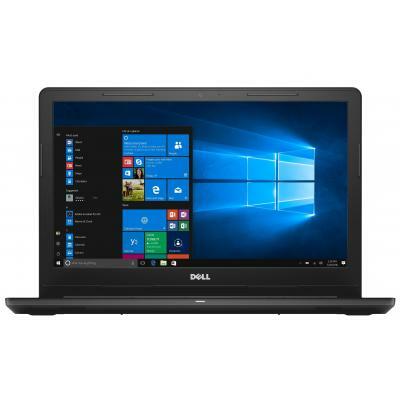 I35P45DIW-60 Ноутбук Dell Inspiron 3552 (I35P45DIW-60) 15.6', HD (1366 х 768), Intel Pentium N3710 (1.6 - 2.56 ГГц), 4 ГБ, 500 ГБ, Intel HD, DVD±RW, Bluetooth, Wi-Fi, Windows 10 Home Single Language (64Bit) Ukranian, 4 cell, 2.15 кг, Black 12 мес. I353410DIL-50 Ноутбук Dell Inspiron 3558 (I353410DIL-50) 15.6', HD (1366 х 768), TN+film, Intel Core i3 5005U (2.00 ГГц), 4 ГБ, 1 ТБ, Intel HD Graphics 5500, DVD±RW, Bluetooth, Wi-Fi, Linux, 4 cell, 2.15 кг, Black 12 мес. I35345DIL-50 Ноутбук Dell Inspiron 3558 (I35345DIL-50) 15.6', HD (1366 х 768), TN+film, Intel Core i3 5005U (2.00 ГГц), 4 ГБ, 500 ГБ, Intel HD Graphics 5500, DVD±RW, Bluetooth, Wi-Fi, LAN (RJ-45), Linux, 4 cell, 2.14 кг, Black 12 мес. 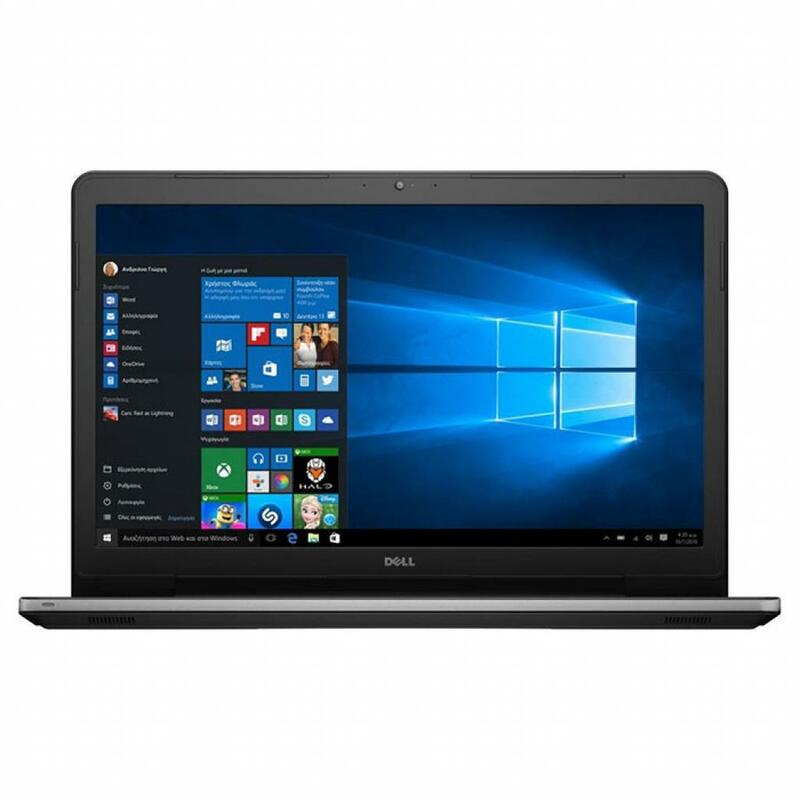 I35H34H10DIL-6BK Ноутбук Dell Inspiron 3567 (I35H34H10DIL-6BK) 15.6', HD (1366 х 768), Intel Core i3 6006U (2.0 ГГц), 4 ГБ, 1 ТБ, Intel HD Graphics 520, DVD±RW, Bluetooth, Wi-Fi, LAN (RJ-45), Linux, 4 cell, 2.3 кг, Black 12 мес. I353410DIL-60B Ноутбук Dell Inspiron 3567 (I353410DIL-60B) 15.6', HD (1366 х 768), Intel Core i3 6006U (2.0 ГГц), 4 ГБ, 1 ТБ, Intel HD Graphics 520, DVD±RW, Bluetooth, Wi-Fi, LAN (RJ-45), Linux, 4 cell, 2.2 кг, Black 12 мес. 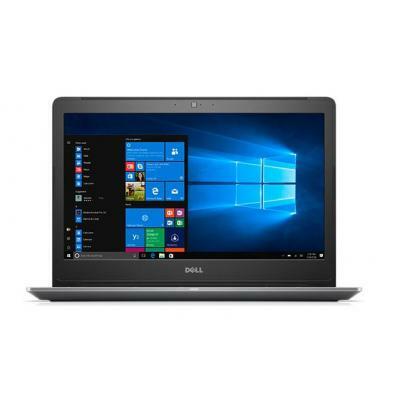 I35H3410DIL-6FN Ноутбук Dell Inspiron 3567 (I35H3410DIL-6FN) 15.6', HD (1366 х 768), Intel Core i3 6006U (2.0 ГГц), 4 ГБ, 1 ТБ, Intel HD, DVD±RW, Bluetooth, Wi-Fi, LAN (RJ-45), Linux, 4 cell, 2.3 кг, Dark Grey 12 мес. I353410DIL-51S Ноутбук Dell Inspiron 3567 (I353410DIL-51S) 15.6', HD (1366 х 768), Intel Core i3 6006U (2.0 ГГц), 4 ГБ, 1 ТБ, Intel HD Graphics 520, DVD-SMulti, Bluetooth, Wi-Fi, LAN (RJ-45), Linux, 4 cell, 2.3 кг, Grey 12 мес. 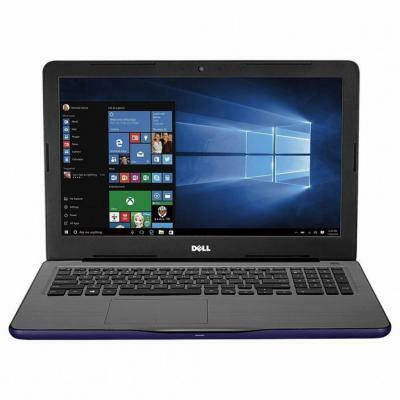 I353410DIL-60G Ноутбук Dell Inspiron 3567 (I353410DIL-60G) 15.6', HD (1366 х 768), Intel Core i3 6006U (2.0 ГГц), 4 ГБ, 1 ТБ, Intel HD, DVD±RW, Bluetooth, Wi-Fi, Linux, 4 cell, 2.15 кг, Grey 12 мес. I35345DIL-60G Ноутбук Dell Inspiron 3567 (I35345DIL-60G) 15.6', HD (1366 х 768), Intel Core i3 6006U (2.0 ГГц), 4 ГБ, 500 ГБ, Intel HD, DVD±RW, Bluetooth, Wi-Fi, Linux, 4 cell, 2.15 кг, Grey 12 мес. 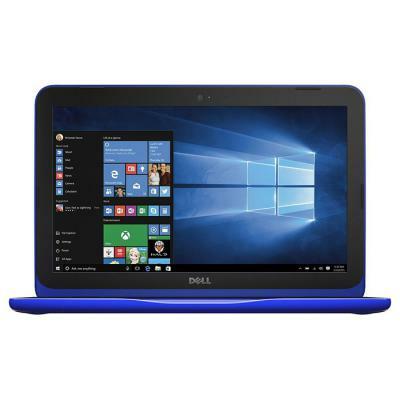 I35H3410DIL-6BK Ноутбук Dell Inspiron 3567 (I35H3410DIL-6BK) 15.6', HD (1366 х 768), TN+film, Intel Core i3 6006U (2.0 ГГц), 4 ГБ, 1 ТБ, Intel HD Graphics 520, DVD±RW, Bluetooth, Wi-Fi, LAN (RJ-45), Linux, 4 cell, 2.3 кг, Black 12 мес. N028VN356801_1801_UBU Ноутбук Dell Vostro 3568 (N028VN356801_1801_UBU) 15.6', HD (1366 х 768), Intel Core i3 6006U (2.0 ГГц), 4 ГБ, 500 ГБ, Intel HD, DVD±RW, Bluetooth, Wi-Fi, LAN (RJ-45), Linux, 4 cell, 2.2 кг, Black 12 мес. N028SPCVN3568EMEA01_U Ноутбук Dell Vostro 3568 (N028SPCVN3568EMEA01_U) 15.6', HD (1366 х 768), Intel Core i3 6006U (2.0 ГГц), 4 ГБ, 500 ГБ, Intel HD Graphics 520, DVD±RW, Bluetooth, Wi-Fi, LAN (RJ-45), Linux, 4 cell, 2.2 кг, Grey 12 мес. N028SPCVN3568_UBU Ноутбук Dell Vostro 3568 (N028SPCVN3568_UBU) 15.6', HD (1366 х 768), Intel Core i3 6006U (2.0 ГГц), 4 ГБ, 500 ГБ, Intel HD Graphics 520, DVD±RW, Bluetooth, Wi-Fi, LAN (RJ-45), Linux, 4 cell, 2.2 кг, Black 12 мес. N028SPCVN3568EMEA01_1801_UBU Ноутбук Dell Vostro 3568 (N028SPCVN3568EMEA01_1801_UBU) 15.6', HD (1366 х 768), Intel Core i3 6006U (2.0 ГГц), 4 ГБ, 500 ГБ, Intel HD Graphics 520, DVD±RW, Bluetooth, Wi-Fi, LAN (RJ-45), Linux, 4 cell, 2.2 кг, Black 12 мес. N028VN3568_UBU Ноутбук Dell Vostro 3568 (N028VN3568_UBU) 15.6', HD (1366 х 768), Intel Core i3 6006U (2.0 ГГц), 4 ГБ, 500 ГБ, Intel HD Graphics 520, DVD±RW, Bluetooth, Wi-Fi, LAN (RJ-45), Linux, 4 cell, 2.2 кг, Black 12 мес. I35345DIW-50 Ноутбук Dell Inspiron 3558 (I35345DIW-50) 15.6', HD (1366 х 768), TN+film, Intel Core i3 5005U (2.00 ГГц), 4 ГБ, 500 ГБ, Intel HD Graphics 5500, DVD±RW, Bluetooth, Wi-Fi, Windows 10 Home Single Language (64Bit) Ukranian, 4 cell, 2.15 кг, Blac 12 мес. 35i34H1R5M-LBK Ноутбук Dell Inspiron 3567 (35i34H1R5M-LBK) 15.6', FullHD (1920 х 1080), Intel Core i3 6006U (2.0 ГГц), 4 ГБ, 1 ТБ, AMD Radeon R5 M430, 2 ГБ, DVD±RW, Bluetooth, Wi-Fi, LAN (RJ-45), Linux, 4 cell, 2.3 кг, Black 12 мес. I353410DDL-60G Ноутбук Dell Inspiron 3567 (I353410DDL-60G) 15.6', HD (1366 х 768), Intel Core i3 6006U (2.0 ГГц), 4 ГБ, 1 ТБ, AMD Radeon R5 M430, 2 ГБ, DVD±RW, Bluetooth, Wi-Fi, Linux, 4 cell, 2.2 кг, Grey 12 мес. N028VN3568EMEA01_U Ноутбук Dell Vostro 3568 (N028VN3568EMEA01_U) 15.6', HD (1366 х 768), Intel Core i3 6006U (2.0 ГГц), 4 ГБ, 500 ГБ, Intel HD Graphics 520, DVD±RW, Bluetooth, Wi-Fi, LAN (RJ-45), Linux, 4 cell, 2.2 кг, Black 12 мес. I55HA9810DIL-7FG Ноутбук Dell Inspiron 5565 (I55HA9810DIL-7FG) 15.6', HD (1366 х 768), AMD A9-9410 2900 MHz, 8 ГБ, 1 ТБ, AMD Radeon R5, DVD±RW, Bluetooth, Wi-Fi, Linux, 3 cell, 2.3 кг, Grey 12 мес. N028VN3568EMEA01_U_R Ноутбук Dell Vostro 3568 (N028VN3568EMEA01_U_R) 15.6', HD (1366 х 768), Intel Core i3 6006U (2.0 ГГц), 4 ГБ, 500 ГБ, Intel HD Graphics 520, DVD±RW, Bluetooth, Wi-Fi, LAN (RJ-45), Linux, 4 cell, 2.2 кг, Red 12 мес. N028VN3568EMEA02_UBU Ноутбук Dell Vostro 3568 (N028VN3568EMEA02_UBU) 15.6', HD (1366 х 768), Intel Core i3 6100U (2.3 ГГц), 4 ГБ, 500 ГБ, Intel HD, DVD±RW, Bluetooth, Wi-Fi, LAN (RJ-45), Linux, 2.2 кг, Black 12 мес. 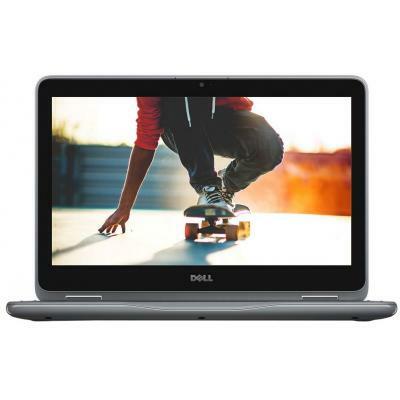 I353410DDL-63B Ноутбук Dell Inspiron 3567 (I353410DDL-63B) 15.6', FullHD (1920 х 1080), Intel Core i3 6006U (2.0 ГГц), 4 ГБ, 1 ТБ, AMD Radeon R5 M430, 2 ГБ, DVD±RW, Bluetooth, Wi-Fi, LAN (RJ-45), Linux, 4 cell, 2.2 кг, Black 12 мес. I35345DIW-60G Ноутбук Dell Inspiron 3567 (I35345DIW-60G) 15.6', HD (1366 х 768), Intel Core i3 6006U (2.0 ГГц), 4 ГБ, 500 ГБ, Intel HD Graphics 520, DVD±RW, Bluetooth, Wi-Fi, Windows 10 Home Single Language (64Bit) Ukranian, 4 cell, 2.2 кг, Grey 12 мес. N064VN3568_UBU Ноутбук Dell Vostro 3568 (N064VN3568_UBU) 15.6', FullHD (1920 х 1080), Intel Core i3 6006U (2.0 ГГц), 4 ГБ, 1 ТБ, Intel HD Graphics 520, DVD±RW, Bluetooth, Wi-Fi, LAN (RJ-45), Linux, 4 cell, 2.2 кг, Black 12 мес. N029VN356801_1801_UBU Ноутбук Dell Vostro 3568 (N029VN356801_1801_UBU) 15.6', HD (1366 х 768), Intel Core i3 6006U (2.0 ГГц), 4 ГБ, 1 ТБ, AMD Radeon R5 M420, 2 ГБ, DVD±RW, Bluetooth, Wi-Fi, LAN (RJ-45), Linux, 4 cell, 2.2 кг, Black 12 мес. I353410DIW-60G Ноутбук Dell Inspiron 3567 (I353410DIW-60G) 15.6', HD (1366 х 768), Intel Core i3 6006U (2.0 ГГц), 4 ГБ, 1 ТБ, Intel HD Graphics 520, DVD±RW, Bluetooth, Wi-Fi, Windows 10 Home Single Language (64Bit) Ukranian, 4 cell, 2.2 кг, Grey 12 мес. 35i34H1IHD-WBK Ноутбук Dell Inspiron 3567 (35i34H1IHD-WBK) 15.6', HD (1366 х 768), Intel Core i3 6006U (2.0 ГГц), 4 ГБ, 1 ТБ, Intel HD Graphics 520, DVD±RW, Bluetooth, Wi-Fi, LAN (RJ-45), Windows 10, 4 cell, 2.2 кг, Black 12 мес. I353410DDW-60G Ноутбук Dell Inspiron 3567 (I353410DDW-60G) 15.6', HD (1366 х 768), Intel Core i3 6006U (2.0 ГГц), 4 ГБ, 1 ТБ, AMD Radeon R5 M430, 2 ГБ, DVD±RW, Bluetooth, Wi-Fi, Windows 10 Home Single Language (64Bit) Ukranian, 4 cell, 2.2 кг, Grey 12 мес. 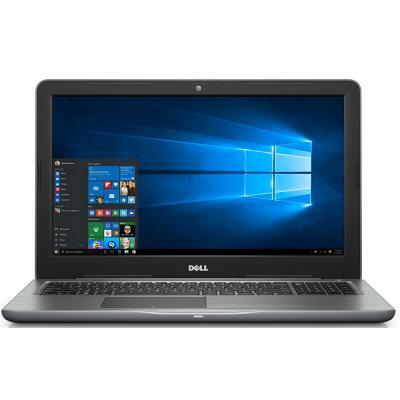 I353410DDW-63B Ноутбук Dell Inspiron 3567 (I353410DDW-63B) 15.6', FullHD (1920 х 1080), Intel Core i3 6006U (2.0 ГГц), 4 ГБ, 1 ТБ, AMD Radeon R5 M430, 2 ГБ, DVD±RW, Bluetooth, Wi-Fi, LAN (RJ-45), Windows 10 Home Single Language (64Bit) Ukranian, 4 cell, 2 12 мес. VAN15SKL1703_009_UBU Ноутбук Dell Vostro 3559 (VAN15SKL1703_009_UBU) 15.6', HD (1366 х 768), TN+film, Intel Core i5 6200U (2.3 ГГц), 4 ГБ, 1 ТБ, AMD Radeon R5 M315, 2 ГБ, DVD±RW, Bluetooth, Wi-Fi, LAN (RJ-45), Linux, 4 cell, 2.2 кг, Black 12 мес. N997L3350EMEA_UBU Ноутбук Dell Latitude 3350 (N997L3350EMEA_UBU) 13.3', HD (1366 х 768), Intel Core i3 5005U (2.00 ГГц), 4 ГБ, 500 ГБ, Intel HD 4400, No ODD, Bluetooth, Wi-Fi, LAN (RJ-45), Linux, 6 cell, 2.0 кг, Black-Red 12 мес. 35i34H1R5M-WBK Ноутбук Dell Inspiron 3567 (35i34H1R5M-WBK) 15.6', FullHD (1920 х 1080), Intel Core i3 6006U (2.0 ГГц), 4 ГБ, 1 ТБ, AMD Radeon R5 M430, 2 ГБ, DVD±RW, Bluetooth, Wi-Fi, LAN (RJ-45), Windows 10, 4 cell, 2.2 кг, Black 12 мес. 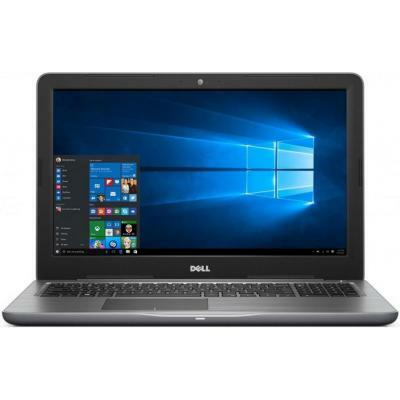 I315F54H10DIL-7BK Ноутбук Dell Inspiron 3567 (I315F54H10DIL-7BK) 15.6', FullHD (1920 х 1080), Intel Core i5 7200U (2.5-3.1 ГГц), 4 ГБ, 1 ТБ, Intel HD Graphics 620, DVD±RW, Bluetooth, Wi-Fi, LAN (RJ-45), Linux, 4 cell, 2.3 кг, Black 12 мес. 55i34H1R5M-LPS Ноутбук Dell Inspiron 5570 (55i34H1R5M-LPS) 15.6', FullHD (1920 х 1080), Intel Core i3 6006U (2.0 ГГц), 4 ГБ, 1 ТБ, AMD Radeon 530, 2 ГБ, DVD±RW, Bluetooth, Wi-Fi, Linux, 3 cell, 2.2 кг, Silver 12 мес. I35545DDL-51S Ноутбук Dell Inspiron 3567 (I35545DDL-51S) 15.6', HD (1366 х 768), Intel Core i5 7200U (2.5-3.1 ГГц), 4 ГБ, 500 ГБ, AMD Radeon R5 M430, 2 ГБ, DVD-SMulti, Bluetooth, Wi-Fi, LAN (RJ-45), Linux, 4 cell, 2.3 кг, Grey 12 мес. 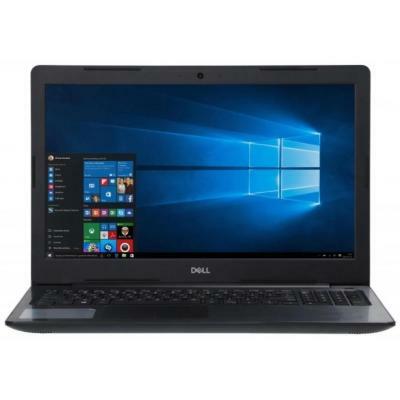 I355410DIL-63B Ноутбук Dell Inspiron 3567 (I355410DIL-63B) 15.6', FullHD (1920 х 1080), Intel Core i5 7200U (2.5-3.1 ГГц), 4 ГБ, 1 ТБ, Intel HD Graphics 620, DVD±RW, Bluetooth, Wi-Fi, LAN (RJ-45), Linux, 4 cell, 2.2 кг, Black 12 мес. I553410DDL-80G Ноутбук Dell Inspiron 5570 (I553410DDL-80G) 15.6', FullHD (1920 х 1080), Intel Core i3 6006U (2.0 ГГц), 4 ГБ, 1 ТБ, AMD Radeon 530, 2 ГБ, DVD±RW, Bluetooth, Wi-Fi, Linux, 3 cell, 2.2 кг, Rose Gold 12 мес. 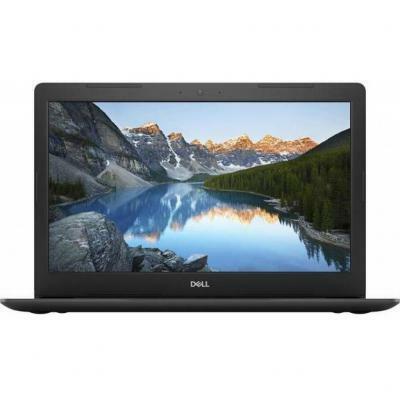 I35545DDL-60G Ноутбук Dell Inspiron 3567 (I35545DDL-60G) 15.6', HD (1366 х 768), Intel Core i5 7200U (2.5-3.1 ГГц), 4 ГБ, 500 ГБ, AMD Radeon R5 M430, 2 ГБ, DVD±RW, Bluetooth, Wi-Fi, Linux, 4 cell, 2.15 кг, Grey 12 мес. N028SPCVN3568EMEA01_1801 Ноутбук Dell Vostro 3568 (N028SPCVN3568EMEA01_1801) 15.6', HD (1366 х 768), Intel Core i3 6006U (2.0 ГГц), 4 ГБ, 500 ГБ, Intel HD Graphics 520, DVD±RW, Bluetooth, Wi-Fi, Gigabit Ethernet, Windows 10 Pro 64bit, 4 cell, 2.2 кг, Blac 12 мес. N065VN3568_UBU Ноутбук Dell Vostro 3568 (N065VN3568_UBU) 15.6', FullHD (1920 х 1080), Intel Core i5 7200U (2.5-3.1 ГГц), 4 ГБ, 1 ТБ, Intel HD Graphics 620, DVD±RW, Bluetooth, Wi-Fi, LAN (RJ-45), Linux, 4 cell, 2.2 кг, Black 12 мес. N071VN3568_UBU Ноутбук Dell Vostro 3568 (N071VN3568_UBU) 15.6', HD (1366 х 768), Intel Core i3 6006U (2.0 ГГц), 8 ГБ, отсутствует, 256 ГБ, Intel HD Graphics 520, DVD±RW, Bluetooth, Wi-Fi, LAN (RJ-45), Linux, 4 cell, 2.2 кг, Black 12 мес. 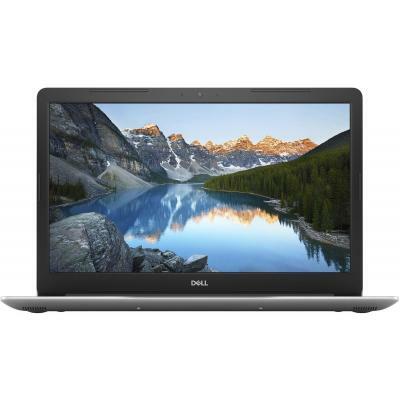 I3534S2DDL-63B Ноутбук Dell Inspiron 3567 (I3534S2DDL-63B) 15.6', FullHD (1920 х 1080), Intel Core i3 6006U (2.0 ГГц), 4 ГБ, отсутствует, 256 ГБ, AMD Radeon R5 M430, 2 ГБ, DVD±RW, Bluetooth, Wi-Fi, LAN (RJ-45), Linux, 4 cell, 2.2 кг, Black 12 мес. 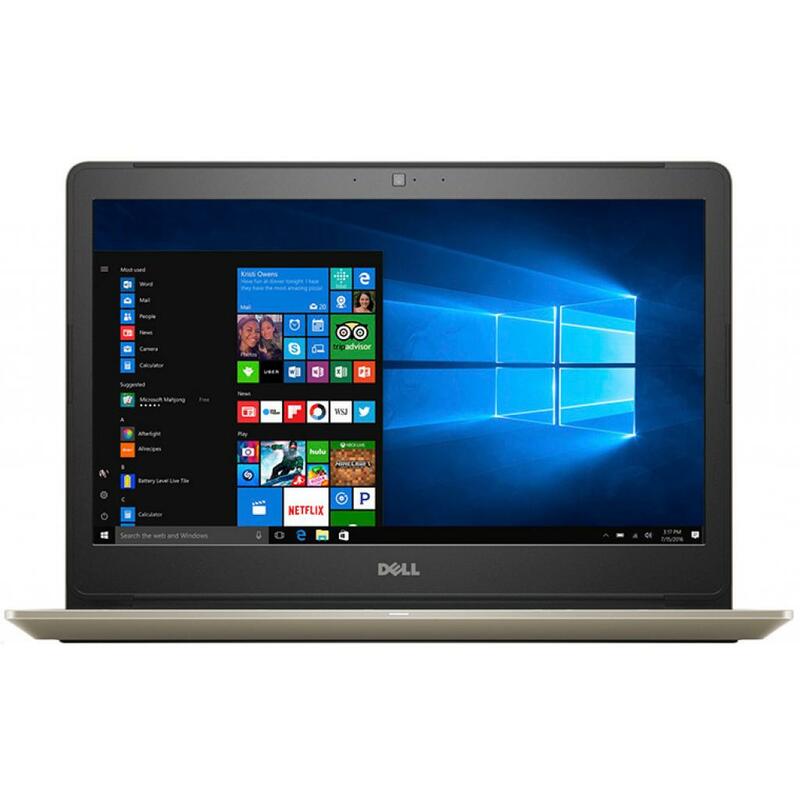 I353410DDW-60B Ноутбук Dell Inspiron 3567 (I353410DDW-60B) 15.6', FullHD (1920 х 1080), Intel Core i3 6006U (2.0 ГГц), 4 ГБ, 1 ТБ, AMD Radeon R5 M430, 2 ГБ, DVD±RW, Bluetooth, Wi-Fi, LAN (RJ-45), Windows 10 Home Single Language (64Bit) Ukranian, 4 cell, 2 12 мес. I553410DDL-80B Ноутбук Dell Inspiron 5570 (I553410DDL-80B) 15.6', FullHD (1920 х 1080), Intel Core i3 6006U (2.0 ГГц), 4 ГБ, 1 ТБ, AMD Radeon 530, 2 ГБ, DVD±RW, Bluetooth, Wi-Fi, Linux, 3 cell, 2.2 кг, Black 12 мес. N998L3350EMEA_UBU Ноутбук Dell Latitude 3350 (N998L3350EMEA_UBU) 13.3', HD (1366 х 768), Intel Core i3 5005U (2.00 ГГц), 4 ГБ, 500 ГБ, Intel HD, No ODD, Bluetooth, Wi-Fi, Gigabit Ethernet, Linux, 6 cell, 2.0 кг, Blue 12 мес. N034VN3568EMEA01_1801_U Ноутбук Dell Vostro 3568 (N034VN3568EMEA01_1801_U) 15.6', FullHD (1920 х 1080), Intel Core i5 7200U (2.5-3.1 ГГц), 4 ГБ, отсутствует, 128 ГБ, AMD Radeon R5 M420X, 2 ГБ, DVD±RW, Bluetooth, Wi-Fi, LAN (RJ-45), Linux, 4 cell, 2.2 кг, 12 мес. N071VN3568EMEA01_1805_UBU Ноутбук Dell Vostro 3568 (N071VN3568EMEA01_1805_UBU) 15.6', HD (1366 х 768), Intel Core i3 6006U (2.0 ГГц), 8 ГБ, отсутствует, 256 ГБ, Intel HD Graphics 520, DVD±RW, Bluetooth, Wi-Fi, Gigabit Ethernet, Linux, 4 cell, 2.2 кг, Blac 12 мес. 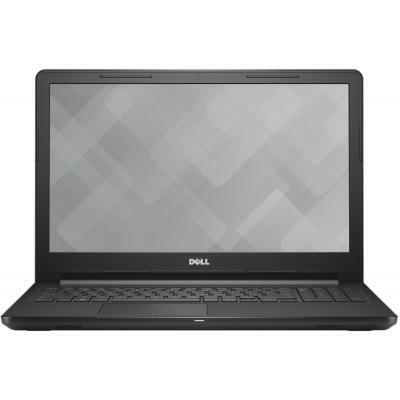 N071VN356801_1805_U Ноутбук Dell Vostro 3568 (N071VN356801_1805_U) 15.6', HD (1366 х 768), Intel Core i3 6006U (2.0 ГГц), 8 ГБ, отсутствует, 256 ГБ, Intel HD Graphics 520, DVD±RW, Bluetooth, Wi-Fi, LAN (RJ-45), Linux, 4 cell, 2.2 кг, Black 12 мес. N033VN356801_1801_UBU Ноутбук Dell Vostro 3568 (N033VN356801_1801_UBU) 15.6', HD (1366 х 768), Intel Core i5 7200U (2.5-3.1 ГГц), 8 ГБ, отсутствует, 128 ГБ, Intel HD, DVD±RW, Bluetooth, Wi-Fi, LAN (RJ-45), Linux, 4 cell, 2.2 кг, Black 12 мес. N034VN356801_1801_UBU Ноутбук Dell Vostro 3568 (N034VN356801_1801_UBU) 15.6', FullHD (1920 х 1080), Intel Core i5 7200U (2.5-3.1 ГГц), 4 ГБ, отсутствует, 128 ГБ, AMD Radeon R5 M420, 2 ГБ, DVD±RW, Bluetooth, Wi-Fi, LAN (RJ-45), Linux, 4 cell, 2.2 кг, Black 12 мес. N008VN5468EMEA02_UBU_G Ноутбук Dell Vostro 5468 (N008VN5468EMEA02_UBU_G) 14', HD (1366 х 768), Intel Core i3 7100U (2.4 ГГц), 4 ГБ, 500 ГБ, Intel HD Graphics 620, No ODD, Bluetooth, Wi-Fi, LAN (RJ-45), Linux, 3 cell, 1.6 кг, Gold 12 мес. N028VN3568EMEA01_P Ноутбук Dell Vostro 3568 (N028VN3568EMEA01_P) 15.6', HD (1366 х 768), Intel Core i3 6006U (2.0 ГГц), 4 ГБ, 500 ГБ, Intel HD Graphics 520, DVD±RW, Bluetooth, Wi-Fi, LAN (RJ-45), Windows 10 Pro, 4 cell, 2.2 кг, Black 12 мес. N028VN3568_W10 Ноутбук Dell Vostro 3568 (N028VN3568_W10) 15.6', HD (1366 х 768), Intel Core i3 6006U (2.0 ГГц), 4 ГБ, 500 ГБ, Intel HD Graphics 520, DVD±RW, Bluetooth, Wi-Fi, LAN (RJ-45), Windows 10 Pro 64bit Russian, 4 cell, 2.2 кг, Black 12 мес. I35H5610DDL-7B Ноутбук Dell Inspiron 3567 (I35H5610DDL-7B) 15.6', HD (1366 х 768), Intel Core i5 7200U (2.5-3.1 ГГц), 6 ГБ, 1 ТБ, AMD Radeon R5 M430, 2 ГБ, DVD±RW, Bluetooth, Wi-Fi, LAN (RJ-45), Linux, 4 cell, 2.3 кг, Black 12 мес. N065VN3568EMEA01_1805_UBU Ноутбук Dell Vostro 3568 (N065VN3568EMEA01_1805_UBU) 15.6', FullHD (1920 х 1080), Intel Core i5 7200U (2.5-3.1 ГГц), 4 ГБ, 1 ТБ, Intel HD Graphics 620, DVD±RW, Bluetooth, Wi-Fi, LAN (RJ-45), Linux, 4 cell, 2.2 кг, Black 12 мес. N032VN356801_1801_UBU Ноутбук Dell Vostro 3568 (N032VN356801_1801_UBU) 15.6', HD (1366 х 768), Intel Core i5 7200U (2.5-3.1 ГГц), 8 ГБ, 500 ГБ, Intel HD, DVD±RW, Bluetooth, Wi-Fi, LAN (RJ-45), Linux, 4 cell, 2.2 кг, Black 12 мес. I5534S2DDL-80B Ноутбук Dell Inspiron 5570 (I5534S2DDL-80B) 15.6', FullHD (1920 х 1080), Intel Core i3 6006U (2.0 ГГц), 4 ГБ, отсутствует, 256 ГБ, AMD Radeon 530, 2 ГБ, DVD±RW, Bluetooth, Wi-Fi, Linux, 3 cell, 2.2 кг, Black 12 мес. N013RVN5468EMEA01_1801_U Ноутбук Dell Vostro 5568 (N013RVN5468EMEA01_1801_U) Диагональ дисплея - 14", разрешение - HD (1366 х 768), процессор - Intel Core i3 6006U (2.0 ГГц), объем оперативной памяти - 4 ГБ, объем HDD - отсутствует, объем SSD - 128 ГБ, ви 12 мес. N028VN3568EMEA01_1801 Ноутбук Dell Vostro 3568 (N028VN3568EMEA01_1801) 15.6', HD (1366 х 768), Intel Core i3 6006U (2.0 ГГц), 4 ГБ, 500 ГБ, Intel HD Graphics 520, DVD±RW, Bluetooth, Wi-Fi, LAN (RJ-45), Windows 10 Pro, 4 cell, 2.2 кг, Black 12 мес. 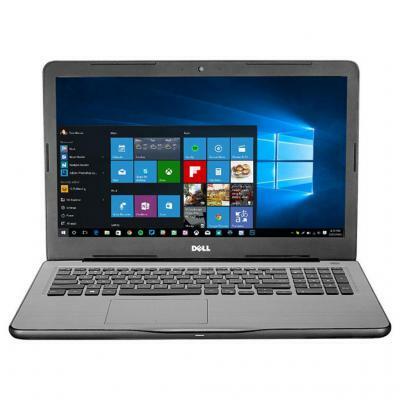 35i58H1R5M-LBK Ноутбук Dell Inspiron 3567 (35i58H1R5M-LBK) 15.6', FullHD (1920 х 1080), Intel Core i5 7200U (2.5-3.1 ГГц), 8 ГБ, 1 ТБ, AMD Radeon R5 M420, 2 ГБ, DVD±RW, Bluetooth, Wi-Fi, LAN (RJ-45), Linux, 4 cell, 2.3 кг, Black 12 мес. 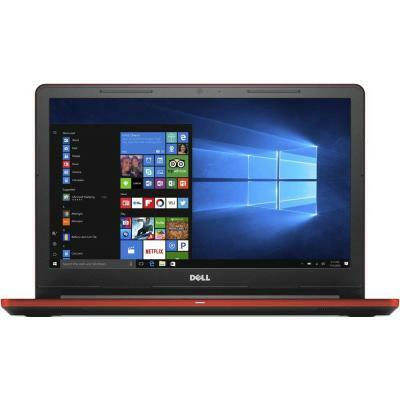 I515F34S2DDL-6BK Ноутбук Dell Inspiron 5570 (I515F34S2DDL-6BK) 15.6', FullHD (1920 х 1080), Intel Core i3 6006U (2.0 ГГц), 4 ГБ, отсутствует, 256 ГБ, AMD Radeon 530, 2 ГБ, DVD±RW, Bluetooth, Wi-Fi, LAN (RJ-45), Linux, 3 cell, 2.3 кг, Black 12 мес. I355610DDL-60G Ноутбук Dell Inspiron 3567 (I355610DDL-60G) 15.6', HD (1366 х 768), Intel Core i5 7200U (2.5-3.1 ГГц), 6 ГБ, 1 ТБ, AMD Radeon R5 M430, 2 ГБ, DVD±RW, Bluetooth, Wi-Fi, Linux, 4 cell, 2.15 кг, Grey 12 мес. 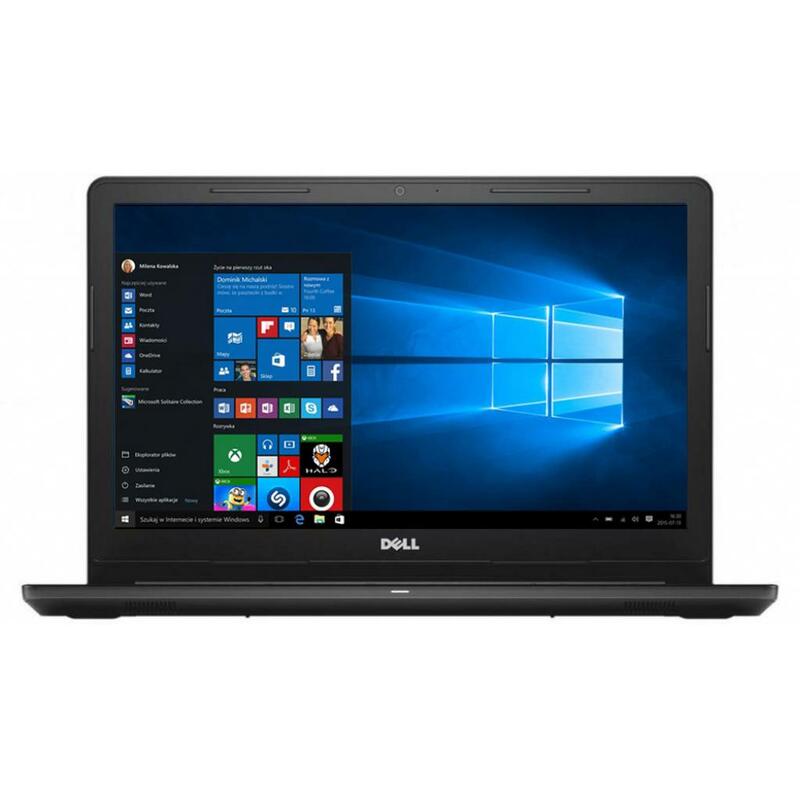 N071VN356801_1805_U_R Ноутбук Dell Vostro 3568 (N071VN356801_1805_U_R) 15.6', HD (1366 х 768), Intel Core i3 6006U (2.0 ГГц), 8 ГБ, отсутствует, 256 ГБ, Intel HD Graphics 520, DVD±RW, Bluetooth, Wi-Fi, LAN (RJ-45), Linux, 4 cell, 2.2 кг, Red 12 мес. N008VN5568EMEA02_UBU Ноутбук Dell Vostro 5568 (N008VN5568EMEA02_UBU) 15.6', HD (1366 х 768), Intel Core i3 7100U (2.4 ГГц), 4 ГБ, 500 ГБ, Intel HD Graphics 620, No ODD, Bluetooth, Wi-Fi, LAN (RJ-45), Linux, 3 cell, 2.0 кг, Grey 12 мес. 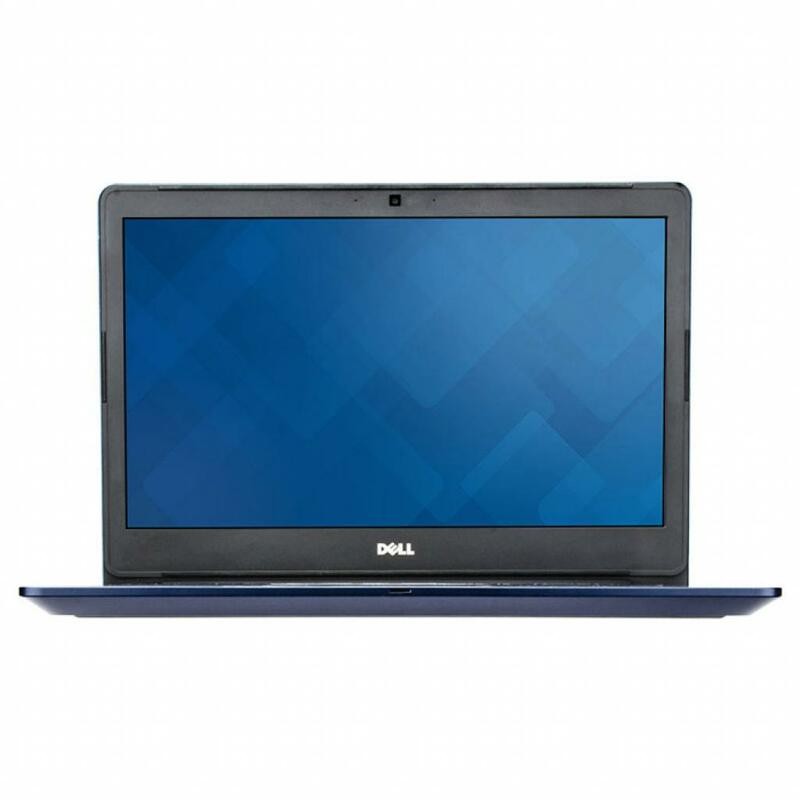 N029VN3568EMEA02 Ноутбук Dell Vostro 3568 (N029VN3568EMEA02) 15.6', HD (1366 х 768), TN+film, Intel Core i3 6100U (2.3 ГГц), 4 ГБ, 1 ТБ, AMD Radeon R5, DVD±RW, Bluetooth, Wi-Fi, LAN (RJ-45), Windows 10 Pro, 4 cell, 2.2 кг, Black 12 мес. N008VN5468EMEA02_UBU Ноутбук Dell Vostro 5468 (N008VN5468EMEA02_UBU) 14', HD (1366 х 768), Intel Core i3 7100U (2.4 ГГц), 4 ГБ, 500 ГБ, Intel HD Graphics 620, No ODD, Bluetooth, Wi-Fi, LAN (RJ-45), Linux, 3 cell, 1.6 кг, Grey 12 мес. N008VN5568EMEA02_UBU_G Ноутбук Dell Vostro 5568 (N008VN5568EMEA02_UBU_G) 15.6', HD (1366 х 768), Intel Core i3 7100U (2.4 ГГц), 4 ГБ, 500 ГБ, Intel HD Graphics 620, No ODD, Bluetooth, Wi-Fi, LAN (RJ-45), Linux, 3 cell, 2.0 кг, Gold 12 мес. N008VN5468EMEA02_UBU_B Ноутбук Dell Vostro 5468 (N008VN5468EMEA02_UBU_B) 14', HD (1366 х 768), Intel Core i3 7100U (2.4 ГГц), 4 ГБ, 500 ГБ, Intel HD Graphics 620, No ODD, Bluetooth, Wi-Fi, LAN (RJ-45), Linux, 3 cell, 1.6 кг, Blue 12 мес. I55H5810DDL-6FG Ноутбук Dell Inspiron 5567 (I55H5810DDL-6FG) 15.6', HD (1366 х 768), TN+film, Intel Core i5 7200U (2.5-3.1 ГГц), 8 ГБ, 1 ТБ, AMD Radeon R7 M445, 2 ГБ, DVD±RW, Bluetooth, Wi-Fi, LAN (RJ-45), Linux, 3 cell, 2.3 кг, Grey 12 мес.